MARY ANN AGOSTINELLI NORTH LIMA – Mary Ann Agostinelli, 93, formerly of Boardman, passed away on Sunday, Oct. 30, 2016. Born Sept. 17, 1923, in Ellwood City, Pa., she was the daughter of Patsy and Purina (Martucci) Rossi. She retired from the Youngstown Vindicator. She formerly worked for the Catholic Diocese of Youngstown, as well as Gorant Candy. 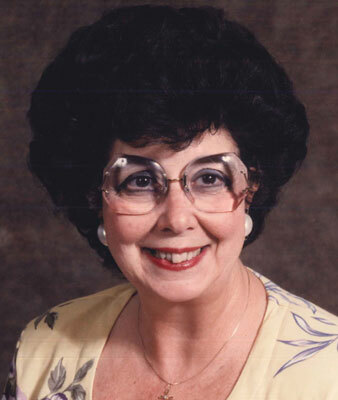 She enjoyed traveling and ball-room dancing and she had a long and lasting faith in Jesus Christ as her Savior. Survivors include her children, Tom (Debbie), Dave (Sue), and Mark (Erica); four grandchildren; three great-grandchildren; a sister, Norma Zingaro; and a brother, Bob (Alice) Rossi. Besides her parents, she was preceded in death by a brother, Patsy. Per her request, private services will be held for the family. The family would like to thank the staff at Ivy Woods Manor for the loving care they provided to Mary Ann, as well as a special thanks to caregiver and friend, Mary Beth.